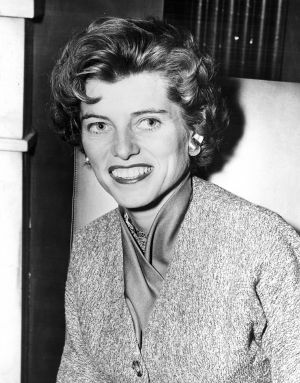 Eunice Kennedy Shriver’s actions helped open the minds and hearts of all people to the gifts and talents of individuals with intellectual disabilities. As the founder of Special Olympics she demonstrated an unrelenting and indomitable spirit, with an unshakeable belief that one person can make a difference and change the world. Today, our call to action begins with you. We invite you to celebrate this extraordinary woman’s legacy and help your community move towards a world where boys and girls with and without intellectual disabilities are united in a more inclusive, just, and caring world. Become an agent of acceptance and action throughout the world. Embrace the spirit of Eunice Kennedy Shriver Day, and on that day, Play Unified, Speak Unified, and Live Unified. Be a game changer for inclusion.